In my day job I’ve been doing a lot of work on the new Triggertrap mobile Android app. As part of that work I’ve developed a number of custom UI components. 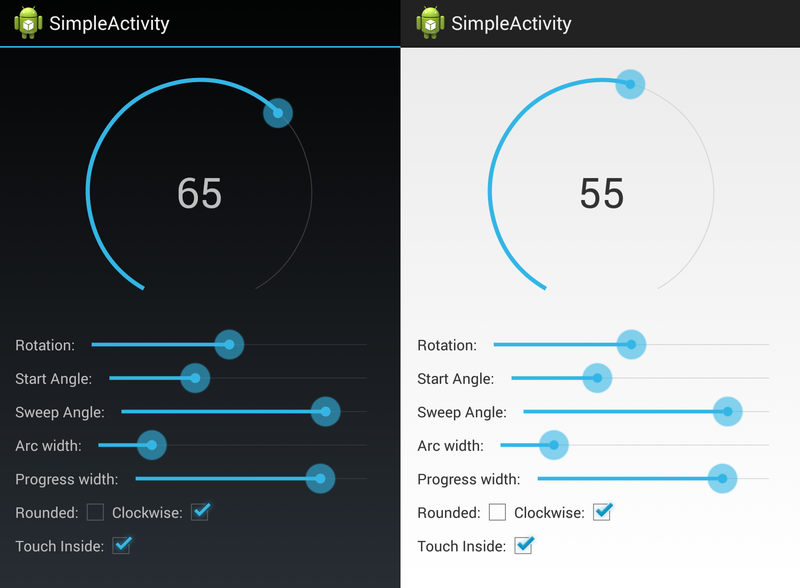 One or two of these could be useful generic widgets and I’ve been keen to share them with others. So with the kind permission of the good folks here at Triggertrap I’m happy to share with you a new UI widget I made call the SeekArc. So what the heck is a SeekArc? Essentially it’s a SeekBar that has been wrapped around a circle. It acts like a SeekBar and generally has the same settings. You can even add a Listener to it as you would with a SeekBar. So if its in a circle why not call it a SeekCircle? The answer is that the SeekArc does have a few more setting than the SeekBar one of these is the sweepAngle, which means that the SeekArc doesn’t have to be drawn as a full circle, and can be drawn as a circle, semi-circle or quarter arc or whatever you like. 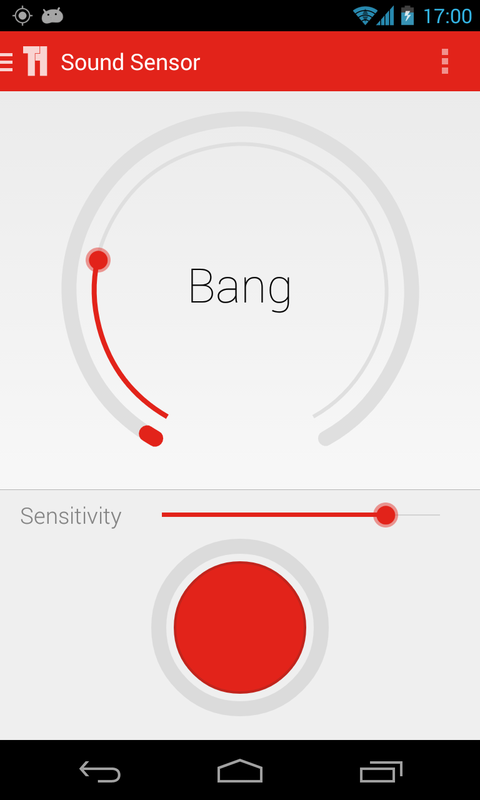 The SeekArc came about when developing the Sound Sensor mode for the Triggertrap mobile app. We just wanted to get away from straight lines and progress bars so we came up with a concept for using a round progress bar to show the volume of the mic input. To set a threshold on the sound trigger it made sense to have a round or curved seek bar like input and so the SeekArc was born. Using the SeekArc is straightforward. 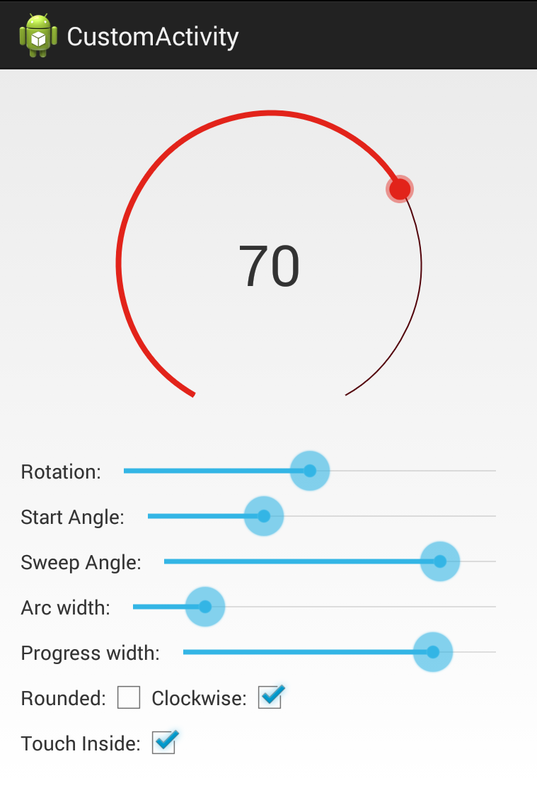 There are a number of settings from sweep angle to rotation that can be set. One of the less obvious settings is the radius or diameter of the SeekArc. When I developed the SeekArc I thought about adding an attribute for defining the diameter of the circle. In the end I decided against this. I thought a more flexible approach would be to allow the SeekArc to expand to the size of its container layout. This way the SeekArc can grow in size with a layout that has widths or heights of match parent. Also it is still possible to set the SeekArc to a specific size by setting the container layouts width and height to specific dp values. This sizing approach gives the best of both worlds. To further adjust how the arc fits in its container a padding attribute can also be used. The SeekArc is fully open sourced under the MIT licence. You can get the full source for it here , along with the sample app. I’ve also have a branch on my git hub here. I’d loved to hear how you are using the SeekArc so please drop me a line if you do, and as always feedback for improvement and any questions are more than welcome. That's all from me for now, have fun with the new SeekArc!